I just bought the programme but did not get the link to start? Our non-profit is currently using QB Pro 2007. Must we upgrade to the newer version to take advantage of the non-profit industry settings? If we do upgrade is it possible to import or convert from our current version or must we begin new? I’ve downloaded your book and it’s been very helpful to me. I am a bookkeeper for a church and I’ve adopted your ways of keeping the books simple. I just have a few questions. Question #1: Does Cash Account classification of Unrestricted, Temporarily Restricted and Permanent Restricted Bank Funds need to be synced with Contribution Revenues classification as well? Another words, does Contribution Revenues Acct (Income) need to be classified with Unrestr, Temp Restri and Perm Restricted as well? Question #2: When receiving a donation for multiple funds, you say to leave the top class box empty but fill in the bottom class field. But the donation reads ‘unclassified’ on the donor summary report. Is there a way to record the donation allocating it to multiple funds with one transaction without having to enter each individual transaction separately; with having to show each allocated contribution individually on the donor summary report? What’s up, its good post on the topic of media print, we all know media is a enormous source of data. If you have QuickBooks Premiere for non-profits and use the on-line version, would you be required to use the online version of Intuit Payroll or can you use the desktop version of the payroll system? Is the ebook only for QuickBooks for Non-profits, or is it also for QuickBooks Pro? 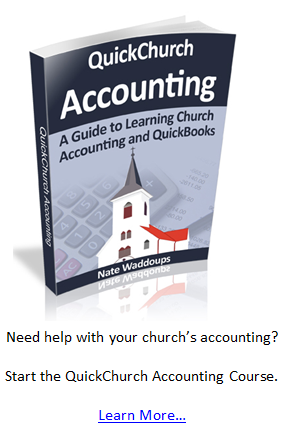 I’m just starting, but I believe our church uses QuickBooks Pro online. The ebook/course is designed for QuickBooks for Non-profits. However, lots of people have taken the course using QuickBooks pro or QuickBooks online. The course is still really helpful for these people, but it’s not quite the slam dunk that it is for those who use QuickBooks nonprofit. Hope that makes sense. 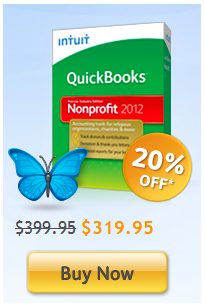 I know QuickBooks has a Mac version, but it isn’t designed for nonprofits. It’s probably still worth taking a look at. I’ve never used a Mac so I don’t really have any good advice. Maybe someone else will have a better idea. I found a Mac version and it was worthless. Granted this was a couple years ago, but I have heard no good news re it. I use QBPro for the shelter and it has been great as I had a pro bono cpa who I could call at any time. 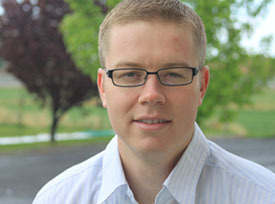 needing to know if the NON Profit software can do budgets for different depts in a church? Yeah it can do that as long as you set up the accounting system correctly.